Vesperina Jewelry is a collection of limited edition & one of a kind jewelry pieces. Each piece is designed & handmade by Christina Heinrichs in her St. Paul, MN studio. Working in silver, copper & bronze, she uses 100% recycled metals. The precious & semiprecious stones that are featured in her jewelry are ethically mined, & selected for their color, cut & quality. Christina buys her stones directly from the gem cutters & gem miners. Her company is a member of the American Gem Trade Association. Color & movement are important factors in her work. She creates kinetic designs that are lightweight & move on the body. Vesperina Jewelry takes its' name from a ballet character choreographed by Christina in 1991, an adaptation of the James Bond character Vesper from Casino Royale. 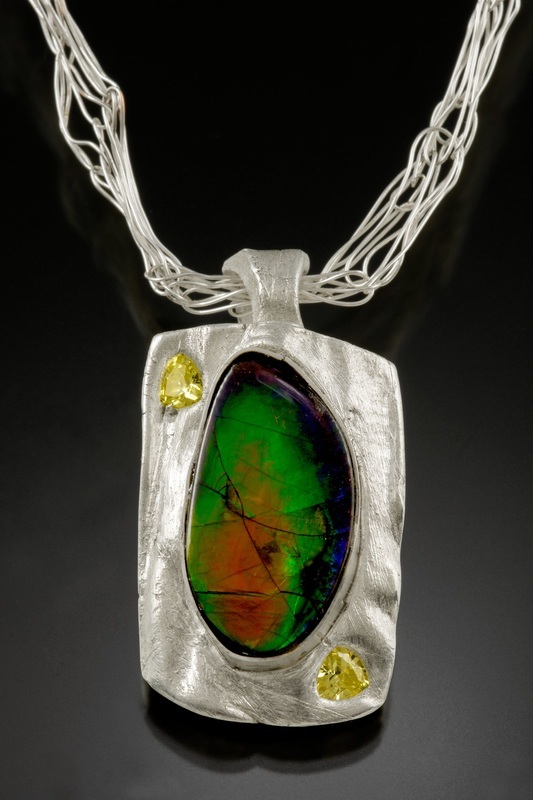 In designing & making her work, Christina focuses on color & movement in each piece, creating bold statement pieces, versatile chains, and flowing earrings. Christina started showing her work at juried art shows in 2014. She has exhibited at art shows & galleries in Chicago, Detroit, MI, suburban Minneapolis, MN, & Milwaukee, WI.